Your smile is extremely important because it is usually the first thing noticed when meeting someone. A smile that is brighter and whiter, coming from a more confident person, can make a memorable impression on anyone you meet, as well as make you feel great in the process. It is unfortunate that aging and bad habits can darken and stain your perfect teeth. Take-home whitening kits: Custom whitening trays, professionally created at our office, can be sent home with our patients. After the desired effects are achieved with Zoom whitening, our trained dental professionals will go over all the instructions to make sure the patient understands how to properly use the kit. Patients can achieve professional whitening results in the comfort of their own home simply by wearing the teeth whitening kit for only 20 minutes at their convenience. Since whitening kits contain high levels of peroxide, we advise patients to exercise caution during use. Take extra care when placing the whitening gels in the trays and ensure it is not overfilling the gums, which can lead to sore gums or more serious health problems. Also, do not wear the kit for more than an hour when whitening at home, as it could result in increased teeth sensitivity. If your teeth ever feel sensitive, discontinue use of the whitening kit for a few days to allow the teeth to settle. Contact our dental office for more information. Is tooth whitening bad for your teeth? Studies of teeth whitening products using 10% carbamide peroxide showed no effect on the hardness or mineral content of a tooth’s enamel surface. Professional teeth whitening does not cause permanent damage to the enamel on your teeth, and is considered harmless by most dentists. What happens during teeth whitening?  When you visit our Burnaby dental office for professional teeth whitening, our dentist will have you wear a tray during the treatment that will cover your teeth with a specially formulated whitening gel. Also, our dentist may use a type of light to enhance the whitening effects of the gel. Why is professional whitening better than other options? The greatest benefit that you’ll gain by seeing our Dentist in Burnaby for tooth whitening is quality and speed. Unlike over-the-counter kits, professional whitening uses a stronger formula that can provide you with a noticeably whiter smile in a single treatment. At-home kits that you can pick up at the drugstore often take a week or longer to provide noticeable results.